The fall colors have been great the past month, but the windstorm last night took down most of the lingering leafs. The brown oaks still have a long time left, and all that darn buckthorn is still green - grrrr. We spent a day hiking on the Superior Hiking Trail a few days ago, finding some great patches of maple, birch, and poplar at their prime. We hiked up Britton Peak, Carlton Peak, and Section 13 covering just about 10 miles. The timing was perfect, but the weather was contrary - it was misty and rainy much of the day. The best kaleidoscope of color was on top of Section 13 by Finland. 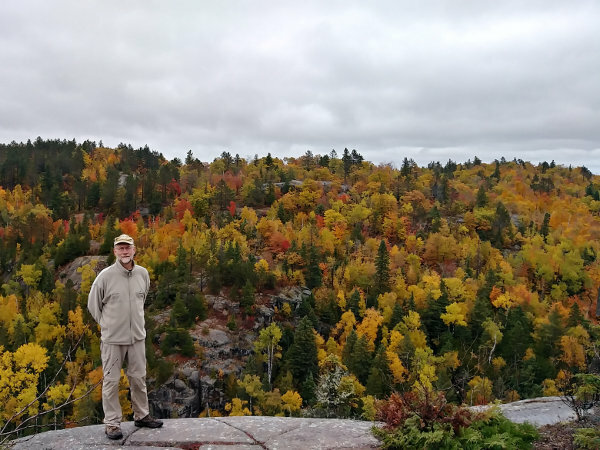 When anyone now asks me for favorite fall color spot, that is it! 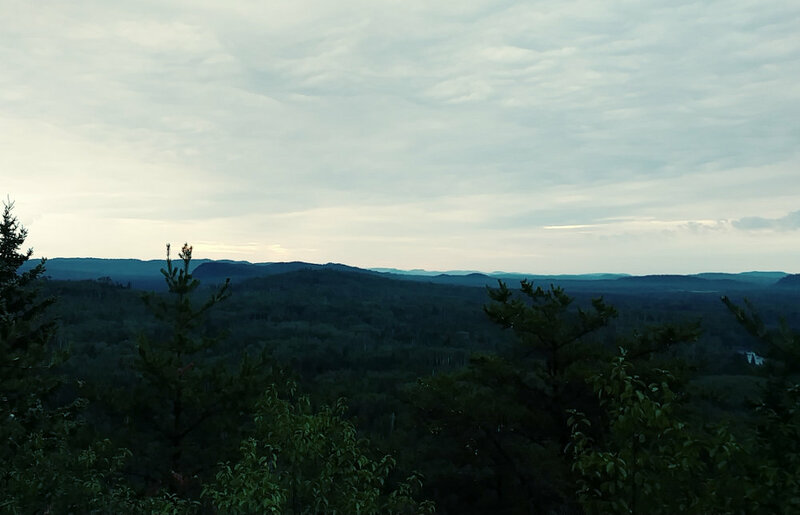 It is a steep, but short, hike in from the nearest trailhead up to lookout views over hillsides of deciduous trees, rock outcroppings, and a beaver pond far below. One reason I wanted to put in a few more miles on the SHT was because it counts as part of the North Country national scenic trail. So, why is that important? 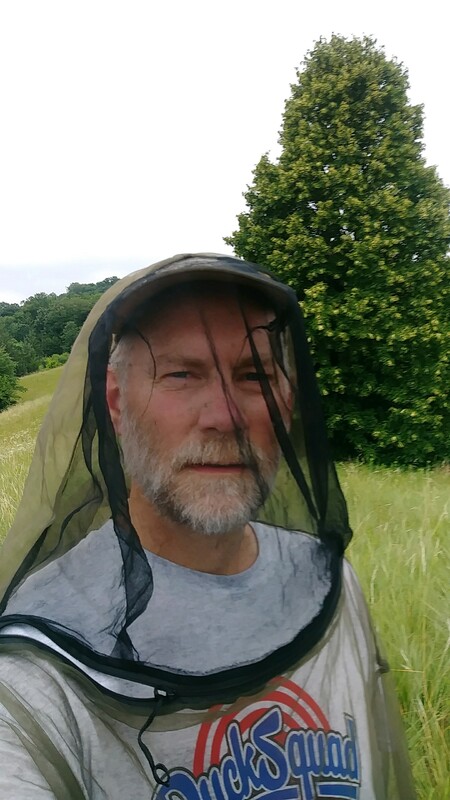 Well, the NCT Association is running their #Hike100NCT program again this year. 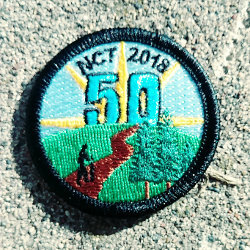 If you hike 100 miles on the NCT, they will send you a patch and certificate, and everyone loves patches! Since I had done 93 miles on my SHT hike in July, the 10 miles we hiked this time put me over the threshold. I received my patch after sending in my information. It is very easy to do. Just go to the Hike 100 page, sign up, and submit your hike completion form online. You still have two months of hiking, until December 31, to complete the challenge. It does not have to be 100 different miles - you could just walk back and forth on the same mile 50 times if you want. 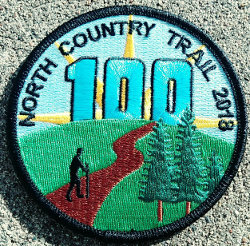 If you think 100 miles would be just too far, the NCTA has added a 50 Mile Challenge this year - smaller patch for smaller miles. And, if you do 100 miles, they will send you both patches! Since the NCT is 4600 miles, folks from North Dakota to New York are pretty close to it. 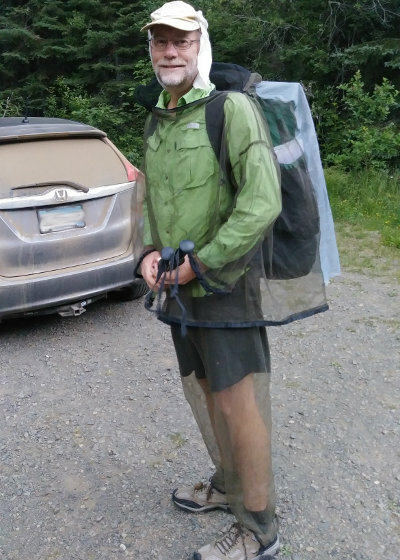 If you are really into patches and hiking, you might also check your local state Department of Natural Resources (or similar) website to see if they have a hiking patch program. Minnesota does at this page. Another hiking patch program is at 52 Hike Challenge. And, there are dozens of other hiking challenge programs - just google it.